At Cabins for YOU, we want to say Thank YOU to all the active and retired servicemen and servicewomen who have given so much to protect our country. We are honored to have these heroes stay with us, and we want to show our appreciation with 10% OFF every time they stay! 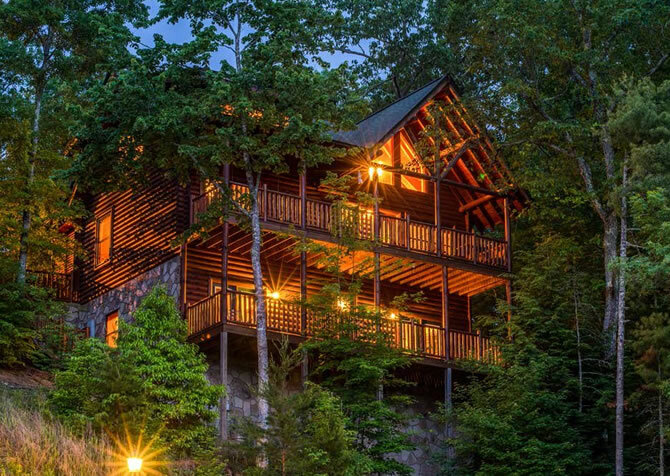 Curl up next to the large stone fireplace with your favorite book or even fall into the luxurious king-size bed for a good night's sleep. Whatever your wants are, Alone at Last is sure to have whatever you are looking for. 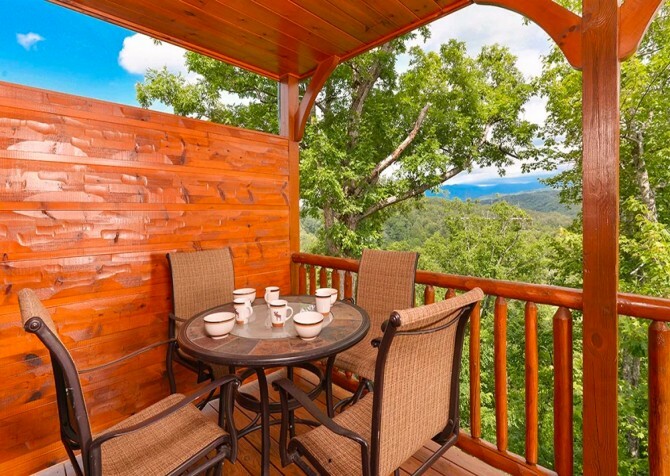 This charming 1-bedroom cabin is the perfect getaway for a romantic escape or honeymoon or a peaceful weekend of hiking and relaxing - all to yourself. 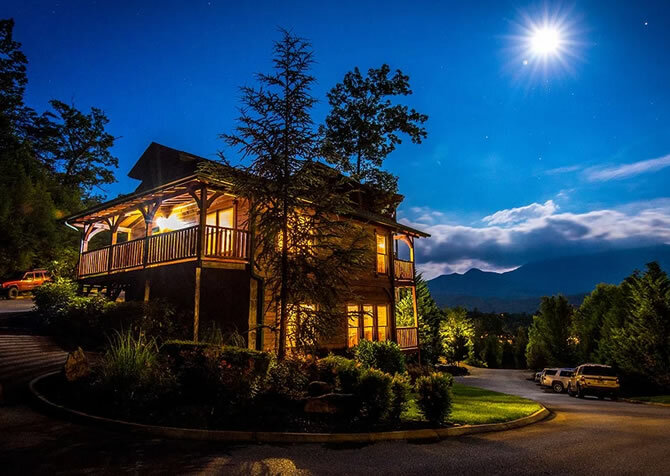 If you’re looking forward to a relaxing stay near Pigeon Forge, try Awesome Getaway and a Theater. 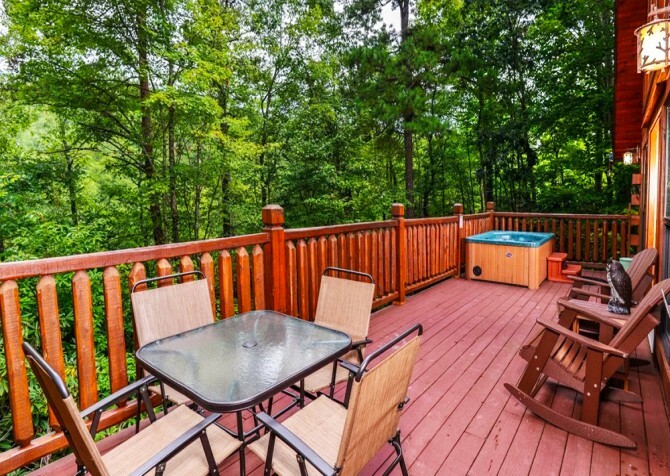 This small group cabin, with its wooded views and outdoor fire pit, is ideal for autumn vacations. 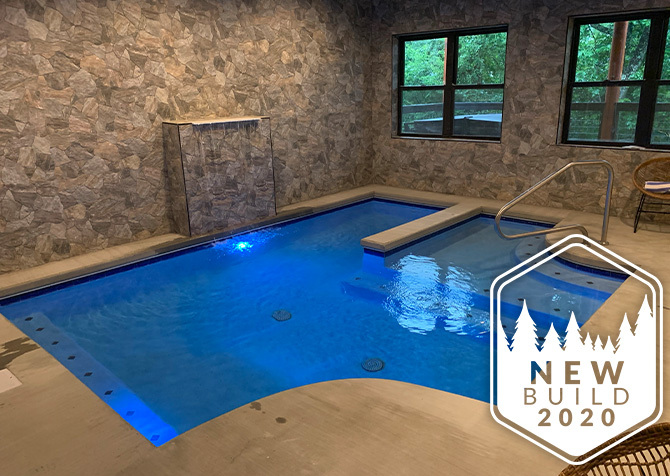 But even if you can’t make it in the fall, you’ll be able to enjoy its pool table, jukebox, arcade, indoor jetted tub, outdoor hot tub, and screened-in back porch all year long! 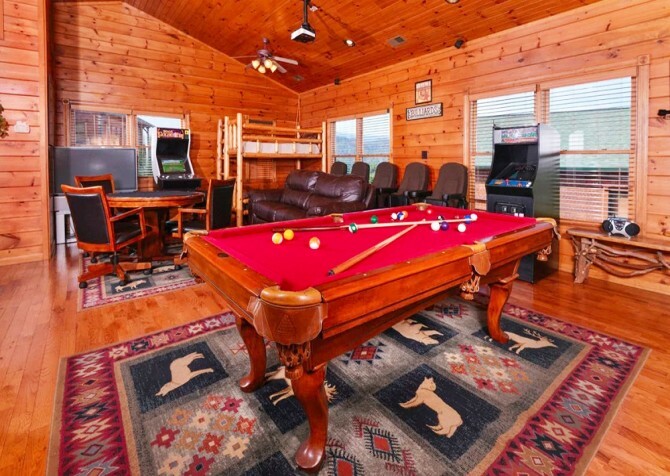 Boo Boo’s Den is ideal for small-group getaways and multi-family vacations. 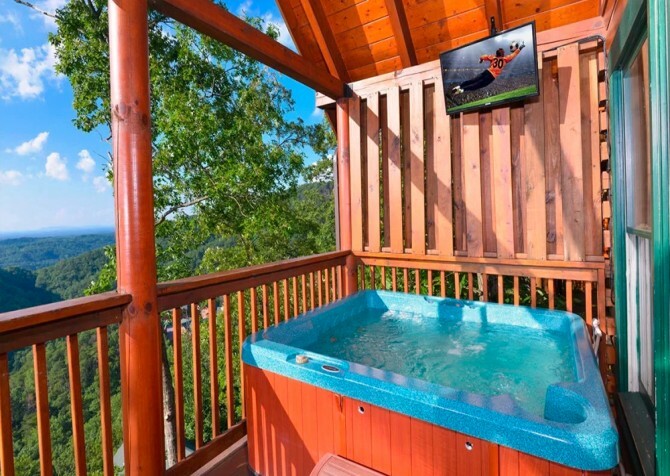 Enjoy 4 bedrooms, 3 ½ baths, and comfortable accommodations for up to 15 guests. 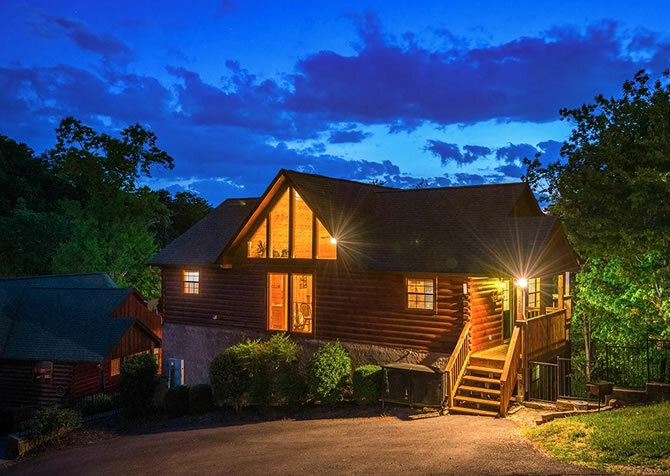 You’ll enjoy mountain and wooded views, a motorcycle-friendly driveway, and large living spaces inside this Pigeon Forge cabin made for fun, relaxing, and memorable getaways in the Great Smoky Mountains! 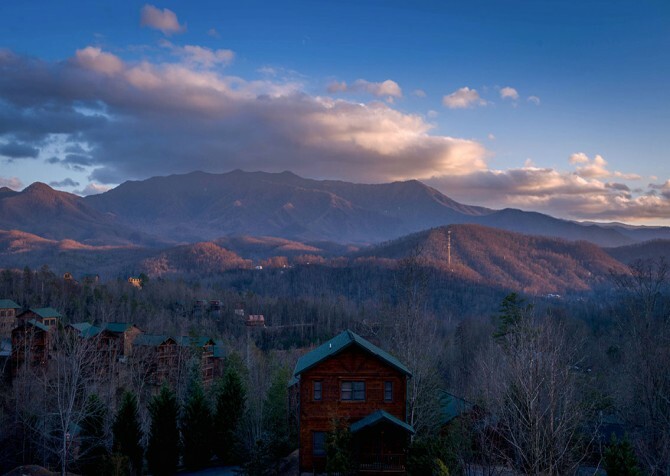 Endless Views and a Theater, located within the Gatlinburg Falls Parkview Resort, provides so much more than community pool access to your small group. 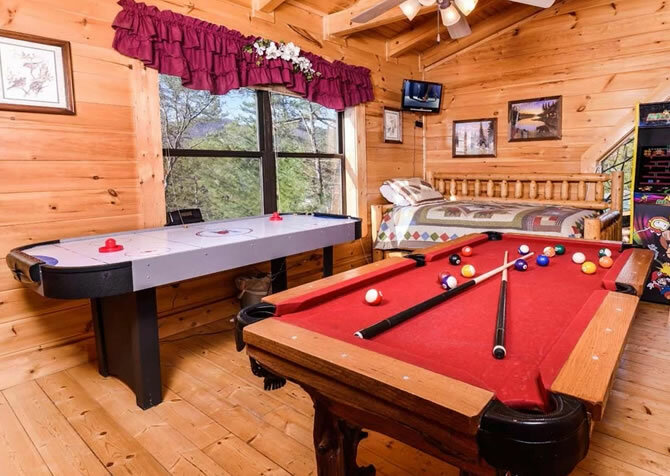 This pet-friendly cabin also has a fully loaded game room, 3 bedrooms with king-size beds, and porch space where you can enjoy tree-studded views of the mountains. 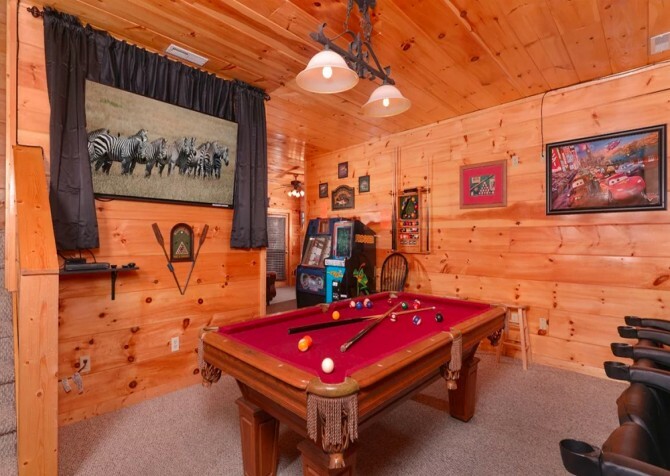 Enjoy all this and more along with flat, paved parking and its convenient location. 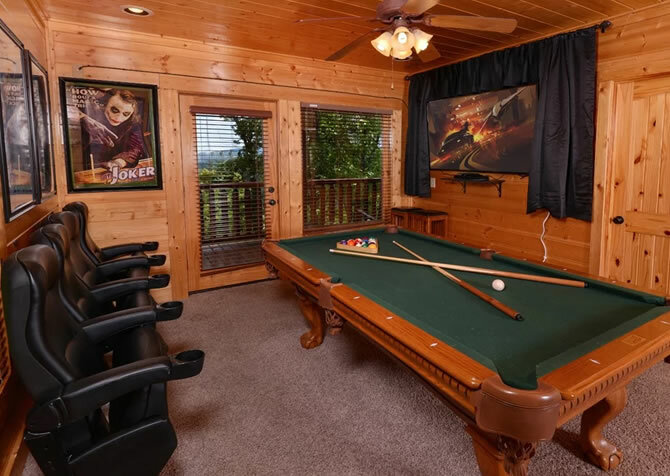 Set in the Smoky Mountain trees is a Pigeon Forge cabin with enough room for 20 guests and enough entertainment to keep the whole group happy throughout your stay. 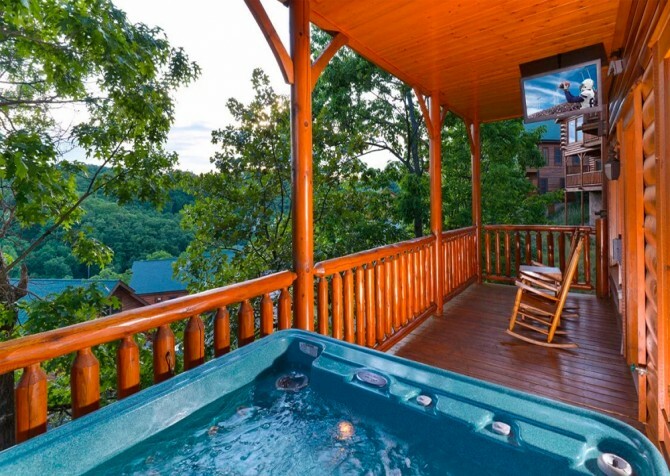 It’s Good N Da Woods Lodge is a 5-bedroom cabin offering a stunning wooded view, an indoor rec room/theater room, and an outdoor porch with a fire pit. 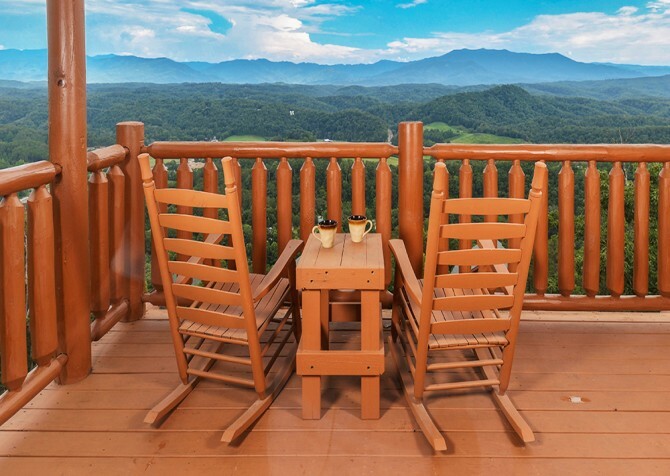 Enjoy all this less than 6 miles from downtown Pigeon Forge! 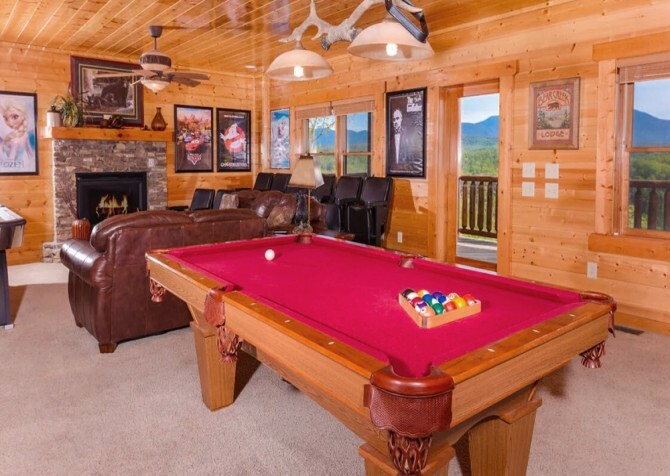 This fun Pigeon Forge cabin blends entertainment and relaxation, with great indoor and outdoor spaces. 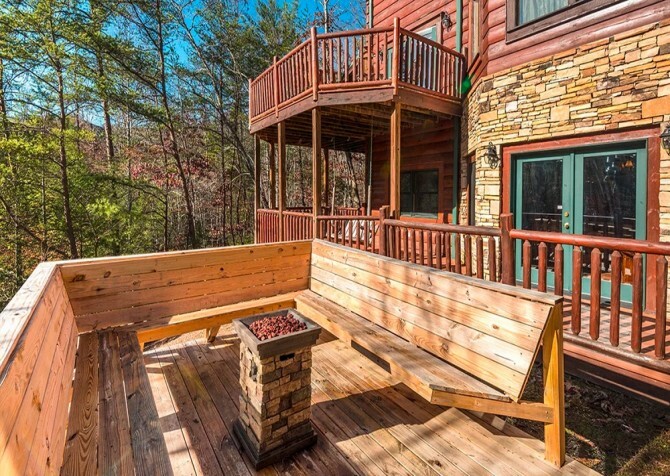 Unwind on the deck as you soak in the views, cozy up on the couch with wireless internet, and take advantage of homey amenities like a washer/dryer and full kitchen! 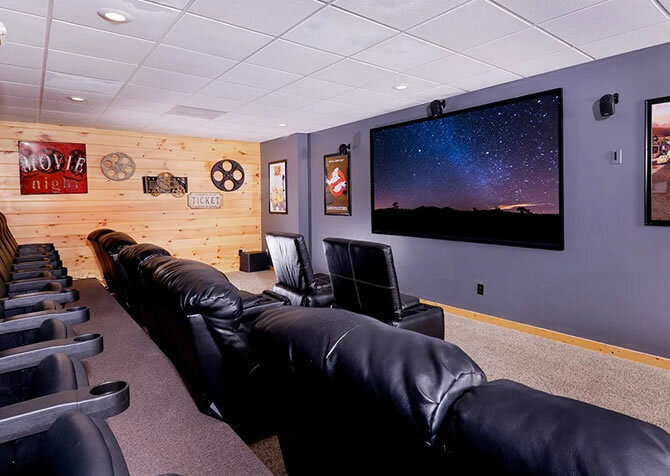 It even has a rec room/theater room with a big screen TV, theater seats, and a pool table and multicade for hours of fun! 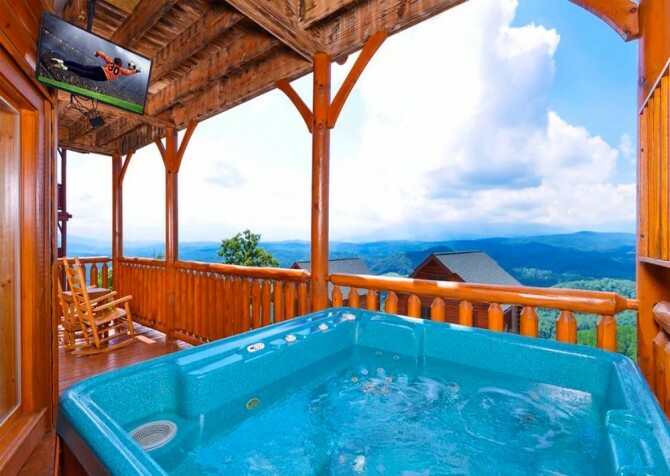 Watch movies on a 65-inch smart TV (with Netflix streaming) with a Blu-ray player and theater seats, shoot some pool while watching movies, unwind in a soothing hot tub on the deck, soak in awesome views after busy days in town, cozy up in front of a stacked stone fireplace on cool mountain nights, and create meals together in the fully equipped kitchen of this comfortable Pigeon Forge cabin! 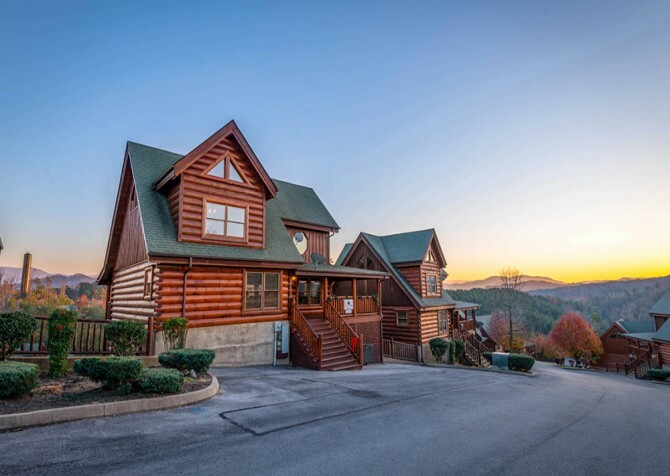 At just over 4 miles from the heart of Pigeon Forge, Papa Bear Lodge keeps you and your guests close to downtown fun! 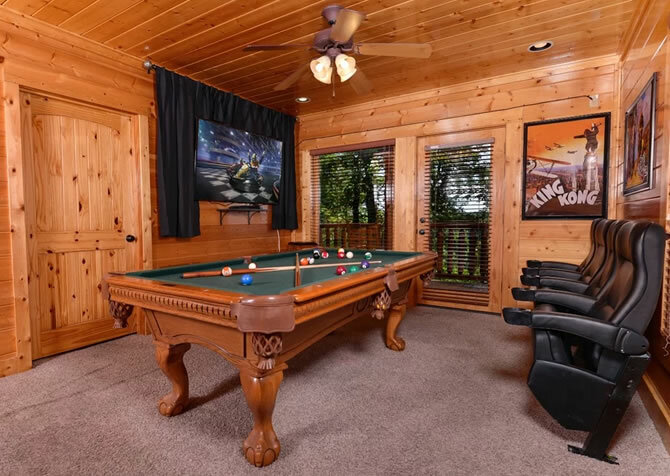 This large-group, pet-friendly lodge for 16 harbors 5 bedrooms, 4 bathrooms, a fully equipped kitchen, multiple decks with mountain views, and a rec room with air hockey and pool tables, a Multicade arcade unit, and a 65-inch flatscreen TV!